The Vaporesso Polar is an electronic cigarette or e-cigarette that is usually handheld, which gives off the experience of smoking a cigarette. It functions simply by heating a liquid (usually an electronic liquid or e-juice) that generates vapor that is inhaled by users. 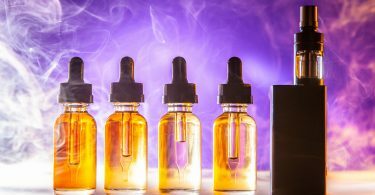 Components of the e-juice include nicotine, propylene, glycol, glycerin, and flavorings. In essence, the process of using e-cigarettes is known as vaping. Having introduced what the Polar is all about, do well to know that it comes with a well packed and pristine kit that is fortified to give you a premium vaping experience. Enhanced with the pairing of an elegant 2-inch color screen and sleek Cascade Baby SE sub-Ohm Tank, the Vaporesso Polar is both captivating and eccentric. Its 0.001s firing speed offers a combination of fast and safe heating along with a pure, rich flavor from your very first puff to the last. It will also assist fire coils down to 0.03 ohms in wattage mode. This is one of the broadest resistance ranges you can get anywhere. With elegant yet urban components, the Polar offers users an efficient power output with just a tad bit fire delay. Polar is simply the best bet for instant and premium vaping. The Vaporesso Polar Kit is a stylish dual-battery device that is capable of producing up to 220 watts of power. Among its several features, there is support for temperature control vaping along with Nickel, Titanium and stainless-steel coils. Indeed, the Polar functions properly on two 18650 batteries that are sold separately. Its two-inch TFT full-color screen gives adequate information on the battery life, coil resistance, wattage or temperature, and many other significant details. Its 45*28*144 mm dimension comprises of a drip tip, top lid, glass tube, isolation component, coil, bottom base, power button, functions keys and a micro USB port for optimal use. That’s not all; the Vaporesso Polar kit has a tank capacity of 6.5 ml / 2 ml. This Cascade tank makes do of three air flow compartments to produce a much smoother denser cloud. The separation of its coil and juice chamber allows deep flavors at each puff. The Cascade Baby SE tank is also a sub-ohm tank. It’s a top-filling tank that is capable of running up to 130 watts. This depends on the type of coil that is used. The Polar is fortified with 2.5A which beats the regular 1A as it quickens charging time by shortening it from the regular 4-5 hours to just 1.5 hours of charging. Its two-inch color screen gives its users a premium visual display function. The Vaporesso Polar is equally enhanced with a premium GT Meshed Coil. Significantly, this coil heats up more evenly when compared to other regular coils. The GT Meshed Coil has a triangular air flow build that helps to enlarge the heating area. The mesh also supplies excellent flavor. It also comes with a 0.15 ohm GT 8 coil that is rated from 50-110 watts with the best range being 60-80 watts. Another dominant feature of the Vaporesso Polar is that it has a relatively safe chip. This chip offers varying protections from burn, overcharge, short circuit, low power and a host of others. More powerful and ultra-modern is the Vaporesso Polar’s Omni Board 4.0. The Omni Board 4.0 helps to integrate insta-fire and multiple protections. It ensures high playability with both the super player mode and bypass mode. The super player mode is the broadest resistance range. It’s very adaptive to mainstream tanks. Conversely, its bypass mode allows you to navigate the vape both effectively and safely. Too good to be true, but these two aren’t the only modes housed in the Omni Boards. Other modes include the Smart VW (H/N/S) / VT (SS, NI, TI) / TCR (M1, M2) / CCT / CCW / VV / CCV. 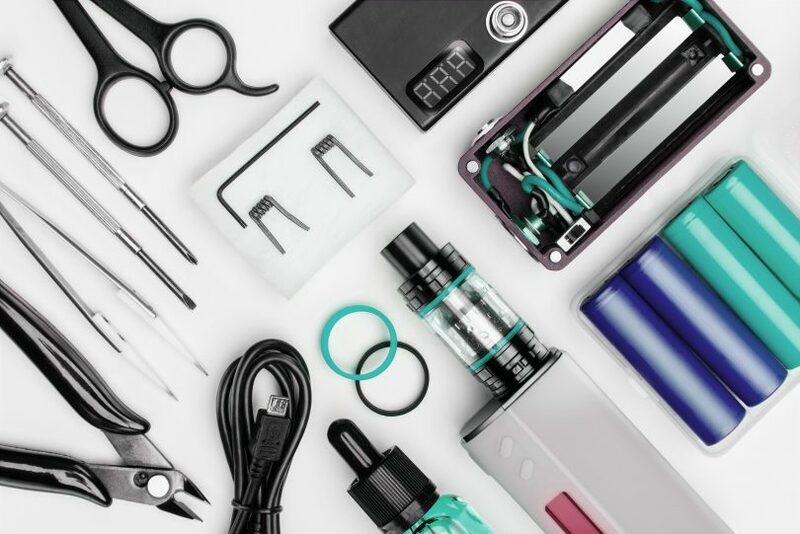 Considering the abundant features that you get in a single box of the Vaporesso Polar, you might need a little bit of time before you get used to dealing with the smoking kit’s complete set of capabilities. However, most vapers who don’t have issues with vaping on the simple variable wattage mode will find that setting and making use of this device will be incredibly easy. All you need to do is thread on your preferred coil head into the tank. Thread the tank onto the centralized 3510 connection, remove the back panel, and put your two batteries according to the Polar indicators in the battery compartment. Click the “fire” button a total of 5 times, and you’re done. It’s important to prevent the top cap of the Polar from opening accidentally, leaking the e-juice. These steps should help to prevent the kit from accidental opening quickly and easily. Lift up the top lid. Ensure locks down automatically after twisting back.